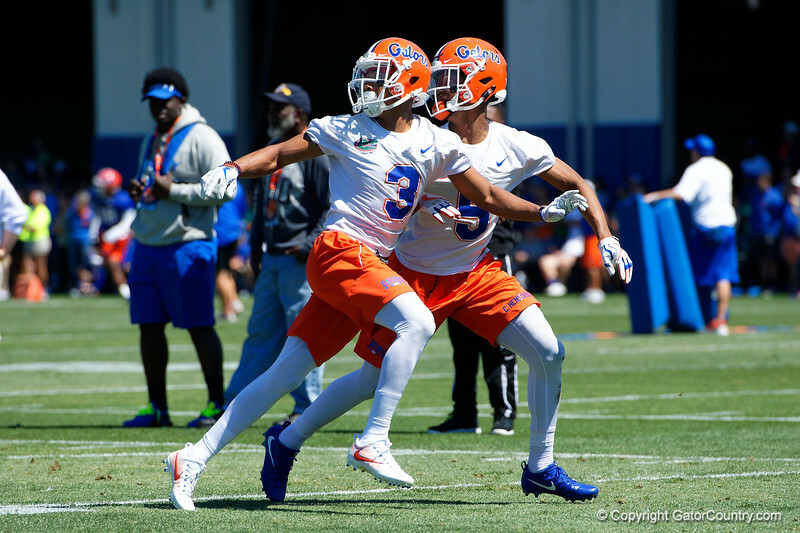 University of Florida Gators defensive back Marco Wilson and University of Florida Gators defensive back CJ Henderson working against each other as the Gators run drills during the second day of 2018 spring practices at Sanders Field at the University of Florida. March 17th, 2018. Gator Country photo by David Bowie.